Delete - unwanted e-mails before you download to your computer. You'll be able to see who the email is from, the subject, and the attachment. This will enable you to decide if you want to delete the email or keep it. A great way to stop viruses, large attachments or to just delete unnecessary emails from getting to your computer. Preview - Easily preview the message in your email to see what the sender has to say before downloading it to your computer. This ensures you won't download any nasty emails to your computer. 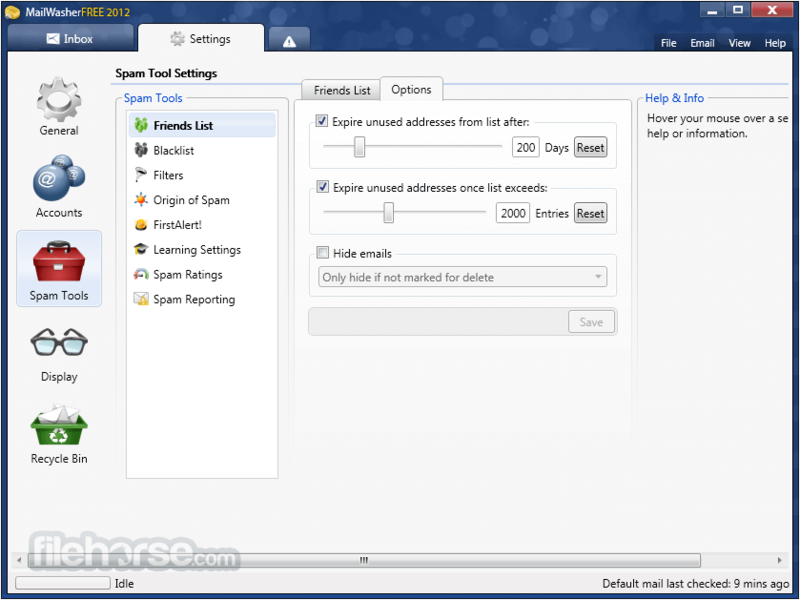 Anti spam tools - Comprehensive anti spam tools ranging from your personal friends list and blacklist, customizable filters, external blacklists, bayesian spam filtering which quickly learns to distinguish your spam and good email and email virus filtering. 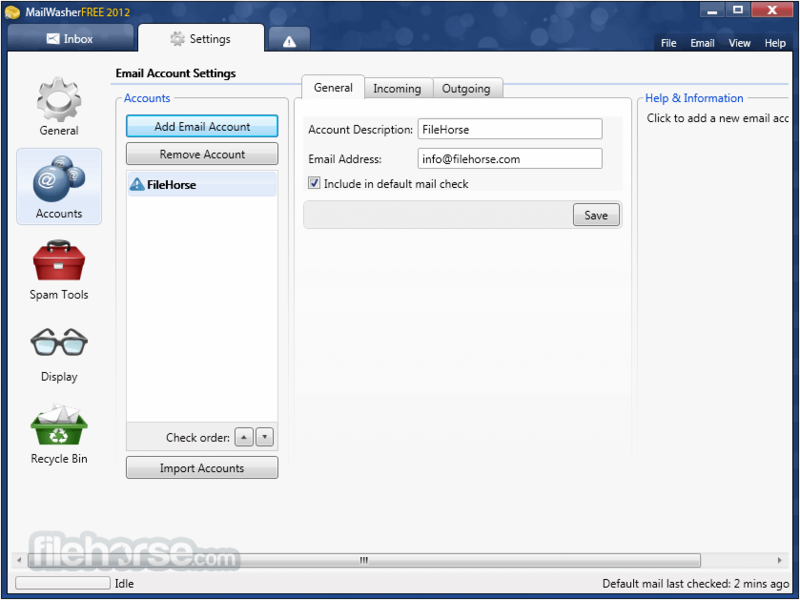 Friends List - Add your friends email addresses to MailWasher and they will always be recognised. You can even hide your friends from the screen so the spam is easy to recognise. Filtering - Effective filtering to automatically spot spam, plus it uses a customisable list of blacklisted e-mail senders and/or regular expressions to filter out potential spammer addresses and messages. Bayesian spam filtering - This clever type of spam filtering learns which of your email is spam and which is not very quickly and accurately. 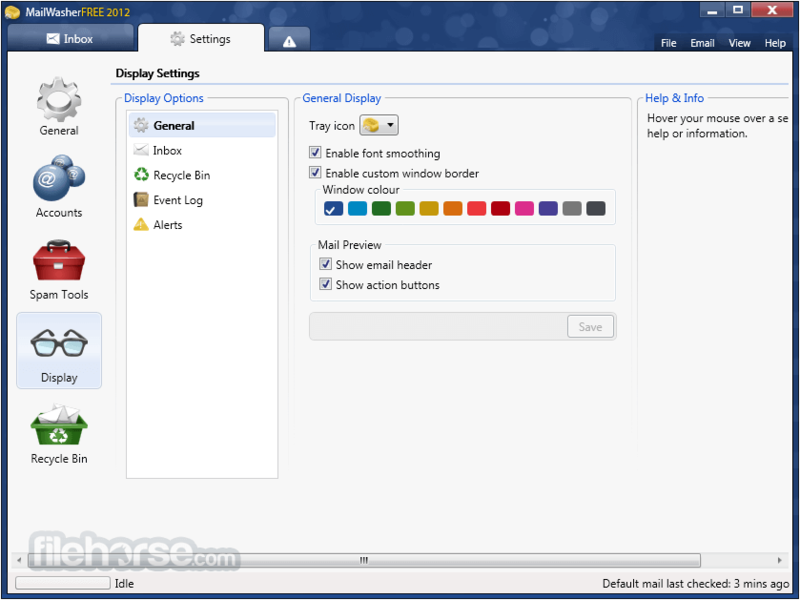 Recycle bin - If you accidentally delete an email, you can restore it back to your email account. Fast download of messages - with amazing 25 email message per second. Simplicity - No flashy gimmicks, so easy to use that you won't feel like you have to learn a whole new program. 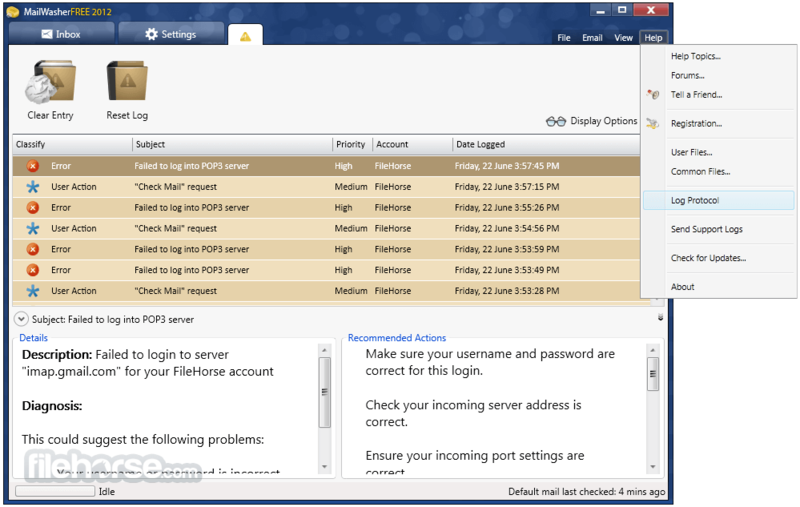 In fact it has the familiar look and feel of Outlook Express. It's as easy as 1,2,3. Just check mail, mark for deletion/learning, then process mail. 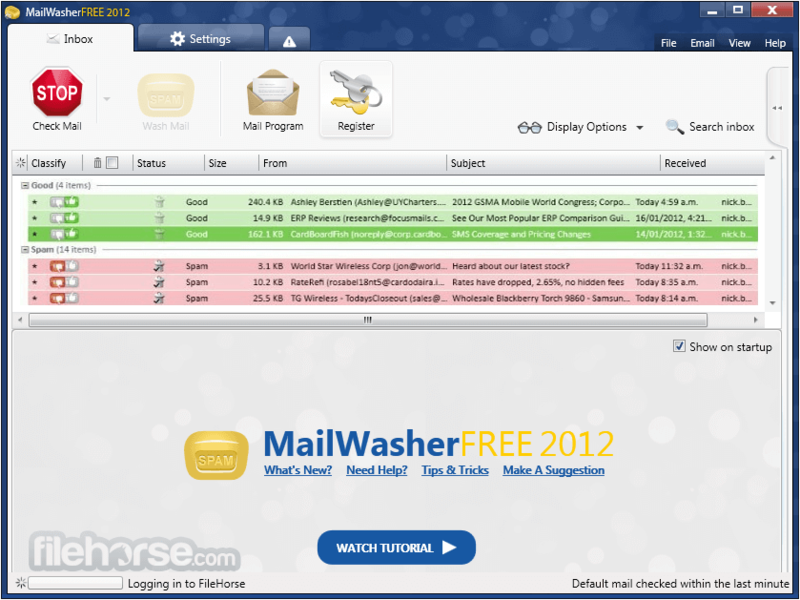 Other features - Check mail at different intervals. Don't check mail at certain times. Play a sound when an email arrives, or be notified visually. Email log. Comprehensive help documentation on this site. Note: Limited to one email address in the unregistered version.